Lafeet Zipang running tabi in stylish black with pink accent flashes. Designed for running, they have several features that provide added performance and comfort. 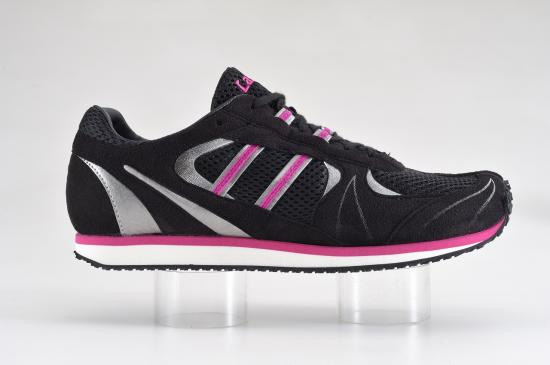 Lafeet Zipang running tabi in stylish black with pink accent flashes. 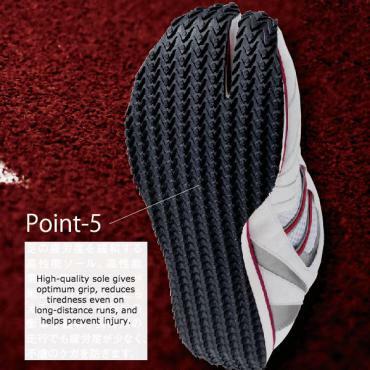 Designed for running, they have several features that provide added performance and comfort. 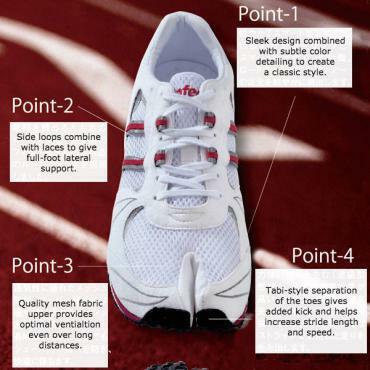 The key feature is the tabi-style toe separation that gives better grip and allows for greater kick and increased stride length and speed.